In part due to my recent obsession with finding the perfect pair of platform sandals, I got to thinking about all those boxes littered throughout my closet and room, of shoes. Shoes I'm not necessarily wearing. And I couldn't help but to feel a bit guilty about needing to bring more into an already crowded space. Some are old, and were well worn during their heyday, but have never once been on this blog in the nearly two years I've been at it. Others have been worn once or twice and are in need of more love. I have to do right by my shoes. Even the flats that I adored at the time, but am now ignoring in favor of heels. They need some lovin'. What to wear with pink, but pink of course! I think all of those shoes have so much wearing potential! I'm especially in love with the orange printed flats! My poor little flatsies also are being ignored as a result of shoes and wedges that I have found.. and just new things! 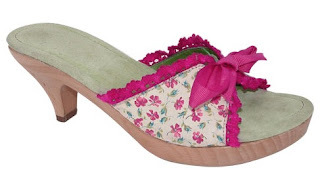 But those floral shoes of yours are super cute and definitely work with your outfit! :) I love that dress, even though I'm normally not a fan of pink! That's a good idea, to give the underworn items some more use! I might do the same for my work outfits! OMGGG i lovee the ones with pattern, especially that orange number! LOVE! Great idea! I love those orange flats - too bad they're too narrow. I also like how you styled those printed shoes. That blazer is pretty great. I love that you're willing to challenge yourself. And that dress with those shoes look great! 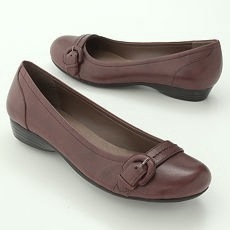 Oh and I have the black version of those brown Kohls flats and you're totally right, they hurt! waaa! torture I tell ya! Oh that wonderful pink color! You got me thinking of the many shoes I have not worn in some time..or at all! They need some lovin' like you said. I should try and follow your lead and wear my forgotten shoes too. You look pretty in pink! lovely outfit. The blazer is so great! I would love to get my less worn shoes out of the closet, but I walk so much that it's tough to wear anything but flats. I've started to wear heels at the office and carry a pair of flats in my bag if I think of it. You're inspiring me to try a bit harder. as my shoes are doing no good stuck in the closet. you have such a beautiful collection of flats!! 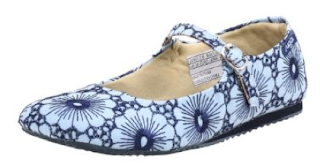 I looove the eyelet flats!!! Those pink and orange flats are so darn cute!! I wished I owned those. That's a beautiful bracelet your rockin! Awww, you look gorgeous, such a pretty background, too! Love the first ones, I like that Mary Jane style, reminds me of the 80s when everyone wore those little Chinese Mary Janes and socks. I have a lot of shoes but tend to stick to certain pairs, too, what's up with that? XO! What a great idea, going through your old shoes and wearing them you haven't worn in a while rather than buying new ones. I do love those orange flats, very unique. Much love to those floral Chinese Laundry sandals. They are adorable and are perfect with your pink dress. You look adorable!! I especially love your purple toenails!! Hats off to you on this!! I love the pair you wore here today...so cute and perfect with your outfit!! I totally agree, I always want new shoes but I do have shoes that aren't used very often. I should show those puppies a little bit of sunshine. Great outfit by the way. love the way ou comined the pieces! the result is so fresh and feminine as well! beautiful. your nail varnish in your toes looks lovely too :). Dont do this to me ! I have shoe guilt. I too have the shoes staring at me and I wear the same ones all the time. I am aware that I have to get rid of some, but WHAT IF I need them later on ? BTW I love that pair you wore today ! A white dress will also make them the item to look at. Great shoe selection. 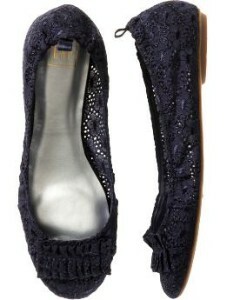 Love the Gap crochet flats! I like the pink &v orange flats.. its a pity you are not wearing them much!